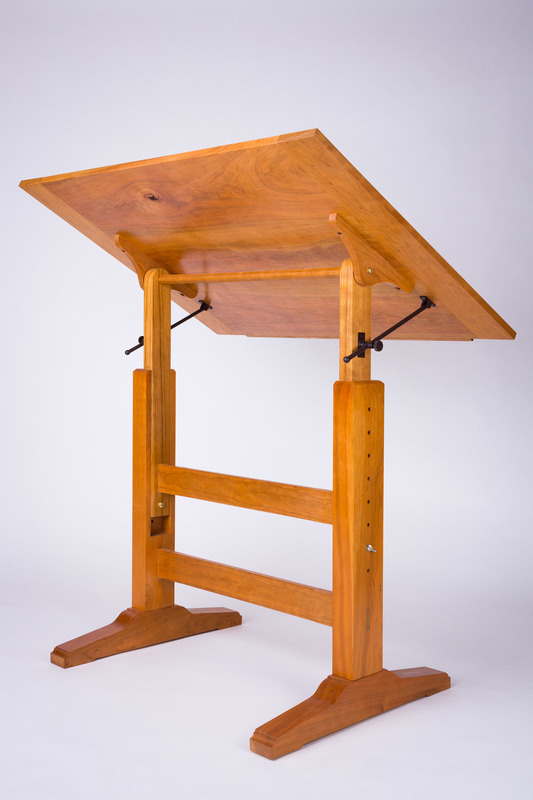 This drawing table was inspirerd by my own desire to do more hand sketching and drawing. 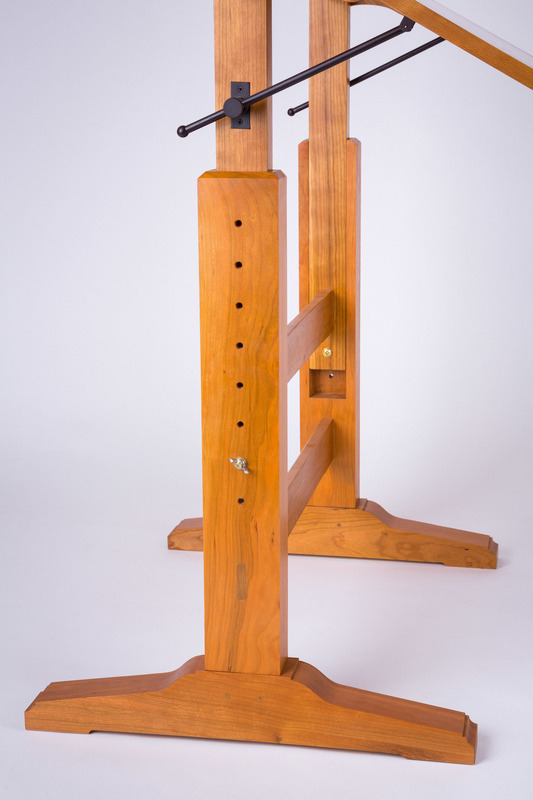 It is made from cherry, and features a breadboard top, adjustable tilt and height. The tilt adjustment uses sash stays, and the hold is very firm. Finished with amber shellac and wax, completed in November 2015.